Hot on the heels of the opening of Greek taverna Artemis and Apollo in Wan Chai, Black Sheep Restaurants has planted another stake in its growing restaurant empire with the opening of Hotal Colombo, a casual canteen inspired by the vibrant, fuss-free eateries found all over the streets of Colombo, Sri Lanka. Often referred to as hotals (the local pronunciation of “hotels”, so named for their estimation as glorified canteens), these roadside jaunts are where people from all walks of life can pop in, kick back and relax while savouring delicious and abundant local food with friends in the community. A celebration of the hard working spirit of the blue-collared masses, these street-side eateries are gathering hubs for local Sri Lankans, whether it be to celebrate a birthday, or a meeting spot in times of need. Diving into the culinary backstory of a people, their place and their heritage is what Black Sheep Restaurants excels at; luckily, they never fail to deliver the authenticity and flavour of the food itself. 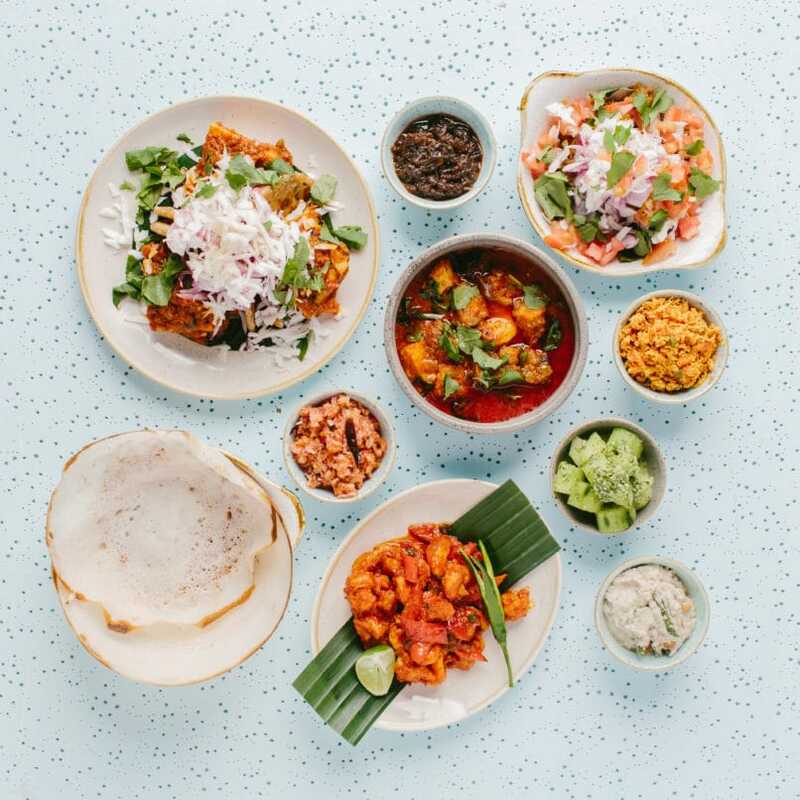 For this, they’ve enlisted Sri Lankan native chef Gisela Alesbrook, who’s tapping into generations of family recipes and nostalgia for her hometown of Colombo to create the beautiful and vibrant street eats the region is known for. 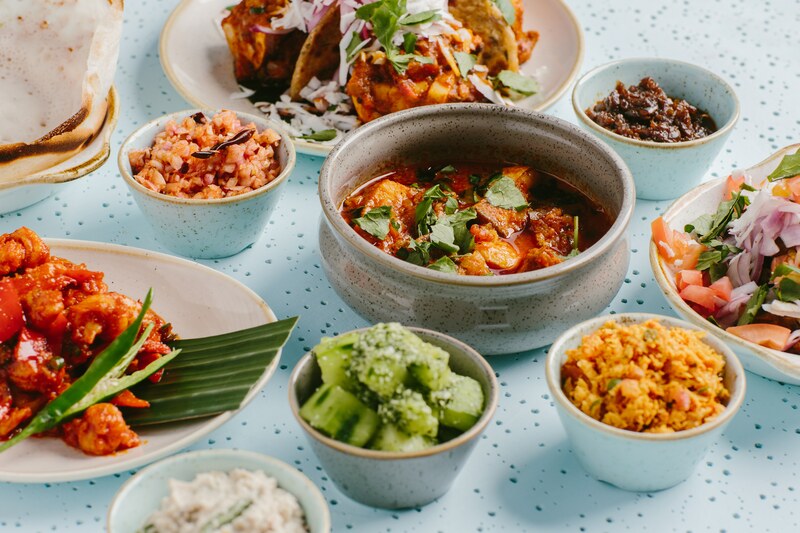 Embracing the wide-spanning culinary traditions of Sri Lanka, Alesbrook’s menu is replete with everything from street fare to curries and large sharing platters. For Alesbrook, Hotal Colombo represents a culmination of many years filled with evenings spent serving up her fantastic curries to the delight of Black Sheep founders, Syed Asim Hussain and Christopher Mark. “Chef Gisela has been with us from day one of Black Sheep Restaurants. Back in those days, Chris and I were both working long hours in service. Often the best part of our day was when we finally got to sit down after closing the restaurant and Gisela would make us one of her incredible Sri Lankan karis. We would tell her that one day we’d open a restaurant with her… Six years later, it has finally become a reality,” said Hussain. Dinner at Hotal Colombo kicks off with appetisers packing a spice-heavy punch: the ‘Short Eats’ section of the menu is comprised of communal bar bites such as bone marrow varuval with pol roti (HK$88), with savoury veal bone marrow cooked down with tomatoes, black pepper and curry leaves, paired with whole-wheat flatbread blended with coconut flesh. Hoppers (HK$48) are not to be missed, pancakes made to be torn and swathed through steaming bowls of spicy Sri Lankan curries or karis, of which the fish kari (HK$108) is a favourite, with succulent cobia bathed in a fragrant coconut sauce dotted with fresh curry leaves. Other highlights of the menu include the masala dosa (HK$78), a pancake formed from a batter of ground rice and lentils, with a vibrant potato filling; and the beef chilli fry (HK$88), which features slow-cooked ox rump topped with freshly grated coconut, sliced onion and tomato. A selection of colourful, sweet and savoury chutneys and sambols round out the meal, the star of which is the pol sambol (HK$18); a staple of every Sri Lankan hotal table, it’s made with fresh coconut flesh pounded together with salt, sugar, dried fish and a generous dose of chillies. 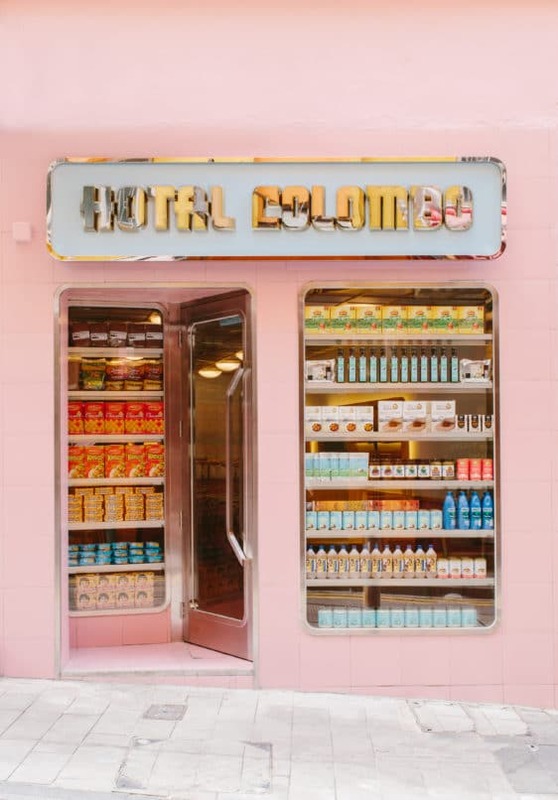 Alongside the flavour-packed fare, diners can feel the soul of Sri Lankan cuisine and culture in the bright pink canteen that evokes of a tropical island eatery, with the casual, colourful eatery fitting in seamlessly with the other eclectic diners dotted along Elgin Street. 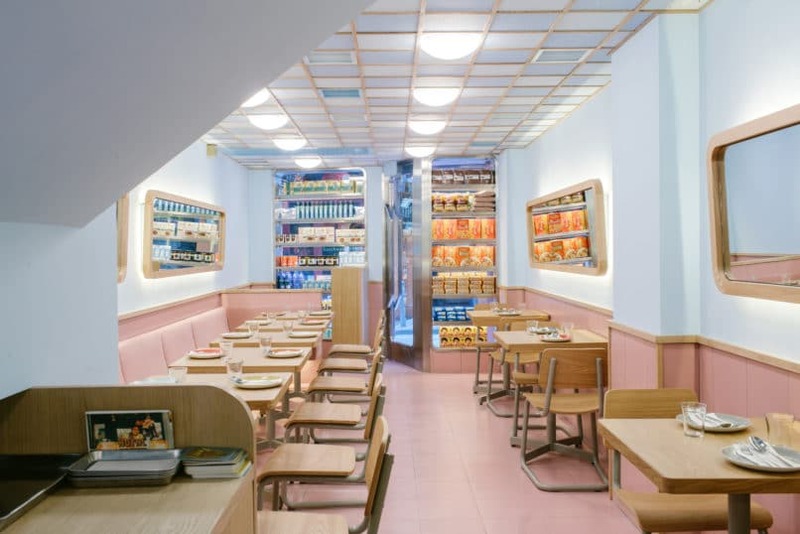 A soundtrack of Baila tunes rounds out the convivial vibes, with servers decked out in tropical print shirts, and interiors decked out in pastel pink and blue. An open kitchen offers guests a glimpse into the preparation of the unique Sri Lankan dishes, while a well-curated cocktail list rooted in the tropical fruits of Southeast Asia and icy Sri Lankan beer is ideal for chasing down the spice-heavy fare. Hotal Colombo, 31 Elgin Street, Central, Hong Kong, +852 2488 8863. Now open for walk-ins only from Tues–Sun, 6pm–10:30pm.